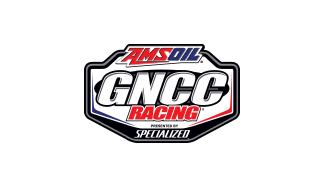 In 2015 the AMSOIL Grand National Cross Country Series presented by Maxxis and sanctioned by the AMA returns to Palatka, Florida for "The Wild Boar" GNCC. When we last visited Palatka Barry Hawk was defending his 2003 bike championship, while Bill Ballance was beginning his quest for his fifth consecutive ATV championship. Those two would both come away with their respective overall wins that weekend. At the end of the season though, Hawk would be beat out by Rodney Smith for the 2004 GNCC bike title, while Bill Ballance was able to claim his fifth ATV title. Coming into the 2015 season, we see a similar scenario playing out with two dominating riders coming to Palatka looking to start their title defense. Kailub Russell will be looking for his third consecutive bike championship, while Chris Borich returns try for his seventh consecutive ATV title. While there’s many similarities, the course itself won’t necessarily be very similar as the facility has obtained new property. The terrain at Palatka is fairly typical of north central Florida. Instead of the deep sands you may find in just a few miles further south, Palatka offers a sand and black clay mix. This means big fun for racers as the mix doesn’t get as rough as deep sand, but yet you can still have fun throwing your machine around in the loose soil. Florida races are typically fast, but with thick woods at Palatka, be ready for anything from fast field sections to tight single track.